Anyone who has passion, concern, and a sense of accountability for our society in the United States would benefit from this conference. There is a group of hidden people in our society who need visibility and the conference provides this. Those on the outside are serving time, too. The speakers at the conference remind us that the people going into prison will be coming out one day, and we want rehabilitation and help for them and for their families. Educators, attorneys, social workers, psychologists, and concerned people from all of the world attend this conference and share information on how we can improve how prisoner’s families are handled by our government, justice system, and each other. The families include the spouses, significant others, sisters, brothers, aunts, uncles, grandmothers, grandfathers and the children – yes the children. The children of the incarcerated are one of the most affected groups and they have no voice. The conference provides a venue for collaboration of ideas and organizations to make a difference and to make our world a better place. A better place for those who have loved ones incarcerated and those that are affected but don’t realize how they are affected. This conference is the place to start to raise awareness and make positive change. The 9th Annual International Prisoner’s Family Conference was held in Dallas, Texas, May 3-5. I had the pleasure of meeting many people who are doing great things and making a difference in the world. What they are doing benefits the families they are working with and their communities. The following podcasts are filled with great information provided by some of the attendees. The interviews are 5 to 20 minutes long and all contain ideas, thoughts and information that will inspire and guide you, no matter whether you are within or out of the prison process. Keep in mind that some of these interviews are taken during the conference, so there may be a little background talking, but nothing to interfere with the quality of the interviews. Amanda’s son is in prison and she tells how she handles her son being in prison, talking to her grandchildren about it and discusses visitation and communication with her son and grandchildren. Pete Letkemann is Vice President of Citizen’s for Prison Reform and Chair for the Family Advisory Board. He also has a son that went to prison as a very young man and provides helpful information to those who have a child in prison. Listen to his interview to learn more and visit www.micpr.org for more information on the organization he’s involved with. Citizens for Prison Reform can be found on Facebook. Avon Hart-Johnson,Ph.D is the President of DC Project Connect, an organization that supports women and families of inmates and provides information resources and grief support. Dr. Hart-Johnson has written several books, traveled around the country speaking at conferences, and hosts a group entitled “Coffee Talk & Tea Time” where women in a local halfway house can interact with women in the community to get to know each other as people. Listen to her interview to learn more about the organizations and coalitions she is working with. You can learn more at www.dcprojectconnect.com or www.dcprojectconnect.org. Maja Gabelica Šupljika is Deputy Ombudsman for Children in Croatia. She is the voice of the children and has been instrumental in helping make visit’s easier and more fun for children. She is a member of Children of Prisoners Europe: http://childrenofprisoners.eu/maja-gabelica-supljika/. Quniana Futrell is CEO of Healing Generations International and is an author, educational instructor/trainer, talk radio host, speaker and child advocate. She also offers trademarked programs: Nurturing Beyond Bars, Parenting Behind Bars (PBB) and Teaching Beyond Bars. Listen to her interview to learn more about her organization and programs, and visit www.3Psupport.com. Sandy Girard is the President of Citizens for Prison Reform, on the steering committee for Nations Outside, and member of the Michigan Collaborative to End Mass Incarceration. For more information about all of the activities and great things Sandy and these groups are doing for friends and family of the incarcerated and educating legislatures, go to: https://www.facebook.com/MICitizensforPrisonReform, http://www.micpr.org/, and https://www.miccd.org/mi-cemi. Barbara Allan is the Founder of Prison Families Anonymous and has over 40 years of helping families during pre-entry, incarceration, and release. She has been instrumental in raising awareness about people with loved ones in prison. She was also instrumental in changing contact laws. Listen to her interview to learn more. You can email her organization at pfa.longisland@gmail.com or visit their website at pfa-li.com. Gale Muhammed is the Founder and President of Women Who Never Give Up. Her passion to help women and girls have also led her to the National Council of Formerly Incarcerated Women and Girls (aka The National Council). Their goal is to bring home 10,000 women to join their families – #FreeHer. Listen to her interview to hear more about what she is doing and visit thecouncil.us. Women Who Never Give Up and thecouncil.us can be found on Facebook. Jim Prager, is on the Board of Directors of the non-profit organization: Toledo Re-entry Coalition. He also started the Prison Conversation which assists people with re-entry. 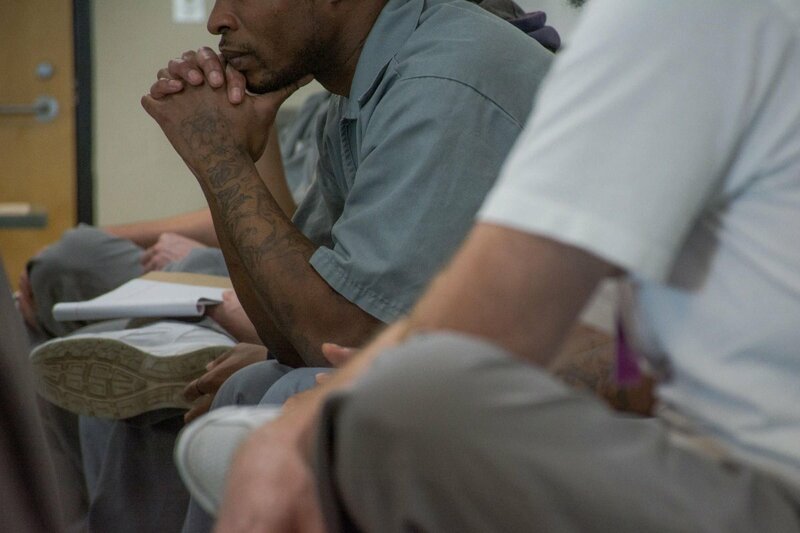 Jim believes that people need to start thinking about re-entry even before going to prison. Andy Dixon and Linda Polk believe that once you name something you can change it. Listen to their interview to learn about Felonism. Felonism – Hating in Plain Site can be purchased through Amazon.